cars and car people through the years. . . .
AMERICAN ODYSSEY is Forza magazine’s exclusive 3-part look inside Phil Hill’s road to the 1961 World Drivers’ Championship in Formula One for Scuderia Ferrari, written by William Edgar with Phil Hill’s quotes and picture-captioned Phil Hill/Hill Family Archive Kodachrome Leica photographs drawn from Hill’s 3-volume book 2017 Inside Track with permission of the book’s publishers and Hill’s son, Derek Hill. PART ONE [Forza issue #168 now in print] of the series articles is about Hill’s early races with Ferrari in North America. PART TWO [Forza next issue #169] continues the illustrated saga with Hill at Le Mans and the Targa Florio. PART THREE [Forza future issue #170] concludes Hill’s story with Ferrari factory team drives in Formula One resulting in his World Drivers’ Championship, to become the only American-born driver to achieve that world title. 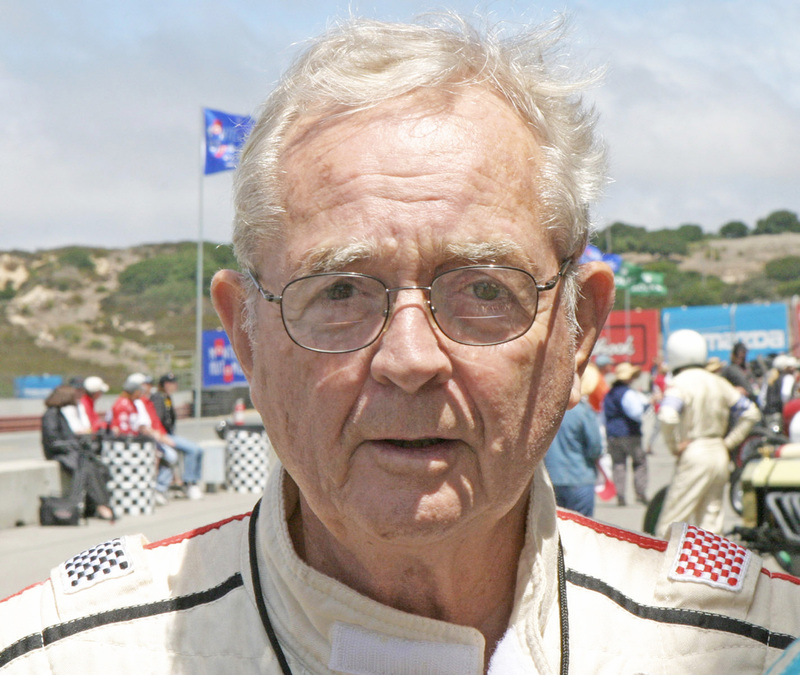 This 2004 photograph of Phil Hill at Laguna Seca is by William Edgar at the time Inside Track was already in preparation by Hill and the book’s publishing staff. © William Edgar and edgarmotorsport.com 2012. Unauthorized use and/or duplication of this material without express and written permission from William Edgar is strictly prohibited. Excerpts and links may be used, provided that full and clear credit is given to William Edgar and edgarmotorsport.com with appropriate and specific direction to the original content.